Last month at San Diego Comic-Con, some of us were surprised that Disney didn’t feature Star Wars: Episode VII at any of their panels, booths, or show floor displays. The massive gathering seemed like a good place to reveal some news, but no dice. Considering that Lucasfilm is now part of the Disney Corporate umbrella, there were rumors and assumptions that Mickey and company would take advantage of their own fan celebration and showcase Episode VII at this year’s D23 Expo. Well, it seems like J.J. Abrams’ pension for secrecy has infected his new bosses, too. We’re speechless, at least we’re going to be somewhat speechless at this expo…Trust me. It’s going to be fantastic. Come on. Star Wars and Disney together. How could it not be fantastic? That doesn’t mean that the franchise won’t have a presence at D23, quite the contrary. We’ve already seen some activity in that far, far away galaxy, with a few mysterious crates. Some think that the boxes are merely a Star Wars floor display, but others believe that they’re intended as a tease for the rumored Star Wars Land theme park addition to Disneyland. The crates were marked “Orange Harvest,” a nod to “Blue Harvest,” the working title used during the production of Return of the Jedi. Lucas used this moniker to keep the name of the real name film secret while director Richard Marquand and gang were in production. Foodles is what J.J. Abrams will supposedly call Episode VII while he works on it. If the crates were labeled with that ridiculous word, then maybe we would have some reason to think that they’re there to showcase the next trilogy. At this moment, it’s unclear when Episode VII will go into production in London. There were early reports that suggested that it could begin early next year in 2014, but the latest rumors suggest that filming could begin as early as this month. The seventh installment in the Star Wars family has yet to be cast, but it is believed that Mark Hamill, Harrison Ford, and Carrie Fisher will all reprise their roles as Luke Skywalker, Han Solo, and Princess Leia, respectively. 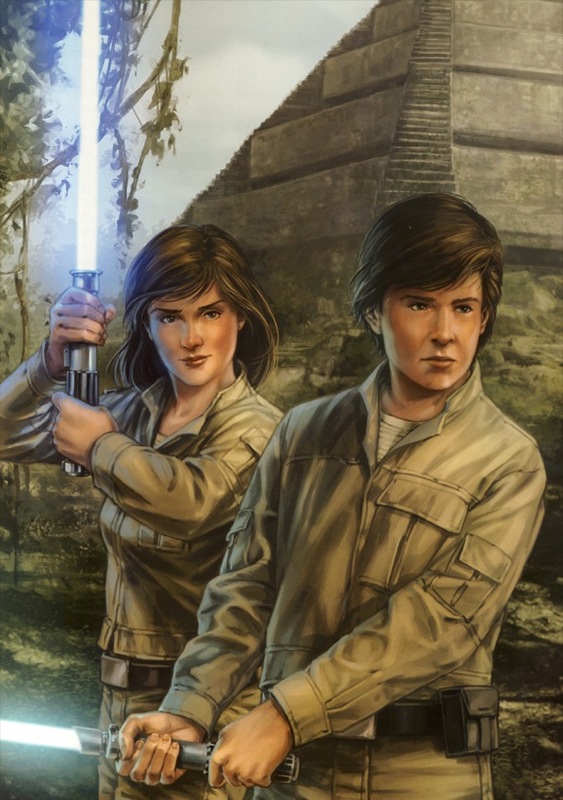 There is nothing official that points to the film’s story, but there is speculation that the narrative will follow a new group of teenaged Jedi Knights, most likely Jacen and Jaina Solo, Han and Leia’s twins. Hopefully we’ll hear something official on the Star Wars: Episode VII front soon, but don’t hold your breath for much this weekend. As it stands, we should finally see the movie sometime during the summer of 2015. “Pension for”? Seriously? Do you even have editors? Penchant. The word you want is penchant.